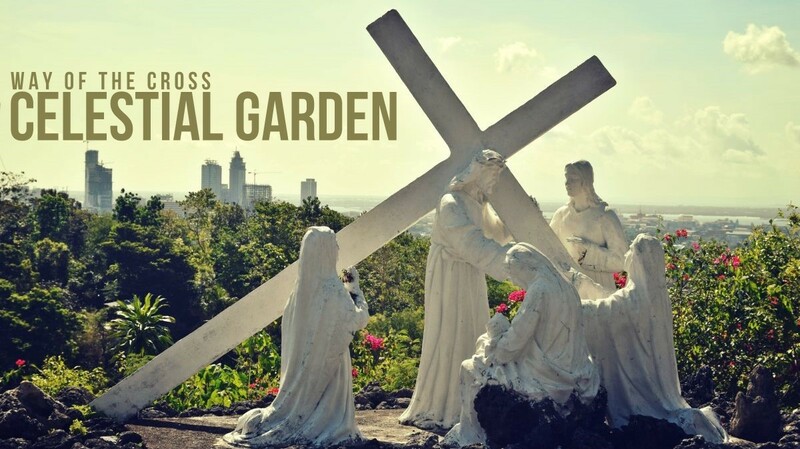 One of the prominent gardens in Cebu City, the Banawa Celestial Garden is most visited by Cebuanos and Roman Catholics during the Lenten Season. The gardens, which is actually a memorial park, is set on 12 hectares of rolling hills that is famous for their life-size statues depicting the passion of Christ. It was on a Maundy Thursday when I visited the Banawa Celestial Garden. Left home alone because I wasn’t able to secure a ticket going to my province in Leyte, I got curious about the garden when it was flashed on the television. Motorcycles waiting at the corner of the main road. It is accessible by public transportation like jeepneys and taxicab. Take note that when asking for directions, it is easy to refer to the place as Good Shepherds Road. If you don’t have a private vehicle, there are lots of motorcycles that will take you to the gardens which is around a 5-minute ride from the main road. At the entrance, you will be greeted by a grandiose arch. There are vendors selling prayer books and guides outside if you don’t have one. Mostly, people come in groups and have a prayer leader that will guide throughout the stations of the cross. Since I was flying solo, I joined a group that brought a loud speaker and hanged with them until the 14th station. The stations are situated at different parts of the hills so you’ll be walking up and down. There are plenty of plants and trees around the area for some shade . It was around 11:30 in the morning when I finished the way of the cross and it was scorching hot above the hill. Somehow it was part of the sacrifice you have to endure but don’t forget to hydrate yourself. There were hundreds of people in the area though I believe there will be thousands late in the afternoon especially on a Good Friday. I would like to join for a group tour for good Friday. Please advice if you have any program like this.